2016 was another very good year for superhero movies in terms quality and box office, but definitely more of the latter. Arguably the biggest hit, and most certainly the biggest surprise of the year, was Fox's R-rated Deadpool. Something Ryan Reynolds had been trying to make for the better part of a decade. As it turns out, for at least half of that decade, he was virtually unemployable, thanks to another failed superhero movie he did. In Variety's latest edition of their Actors On Actors series, Ryan Reynolds sat down to chat with Empire star Taraji P. Henson. During the conversation, he revealed that following the disastrous results of 2011's Green Lantern, he was in his own words "unhirable." Here is what he had to say about it. "I represented the death of the superhero for a while. After Green Lantern, I was pretty much unhirable." Green Lantern came out in 2011 when Warner Bros. was still trying to figure out what they wanted to do with DC Comics characters not named Batman. The movie was a bomb in every sense of the word. It was met with extremely poor reactions from both fans and critics, but that is something that can be forgiven from a studio's perspective if the movie still makes money. Green Lantern didn't. It managed to bring in only $219 million worldwide against a reportedly massive $200 million production budget. It had virtually no redeeming qualities from the perspective of a Hollywood studio, so it sort of makes sense, fair or not, that Ryan Reynolds would feel the pain on the back end. Looking at his credits following Green Lantern, it really was a pretty rough period between that and Deadpool this year. He was doing a lot of voice work, as well as a few small cameos like in Ted, which kept him out from in front of the limelight and outside of that, it was only a couple of flops and very small movies. His next attempt at a comic book movie came in 2013 with R.I.P.D., which also flopped pretty hard. So while unhirable may be a bit of a stretch in literal terms, his career certainly wasn't in a good place. Then Deadpool happened. The success story that is Deadpool has been talked about a lot this year, but that is because it really is impressive. Getting the movie made was an uphill battle, but the risk paid off for Fox and Ryan Reynolds. The R-rated movie based on an extremely violent character not nearly as popular as someone like Wolverine or the other central members of the X-Men with a relatively small budget went on to become the highest-grossing Fox superhero movie ever. Aided by a brilliant marketing campaign, Deadpool became a certifiable monster hit. Ryan Reynolds also talked a bit about that in the interview. "Deadpool was one of those things that was just so specific--it was like this weird superhero anarchy that I loved so much. I think I was in the superhero suit more in the marketing materials than I was in the actual film. Which is why I stole the suit at the end of production and just brought it home with me." 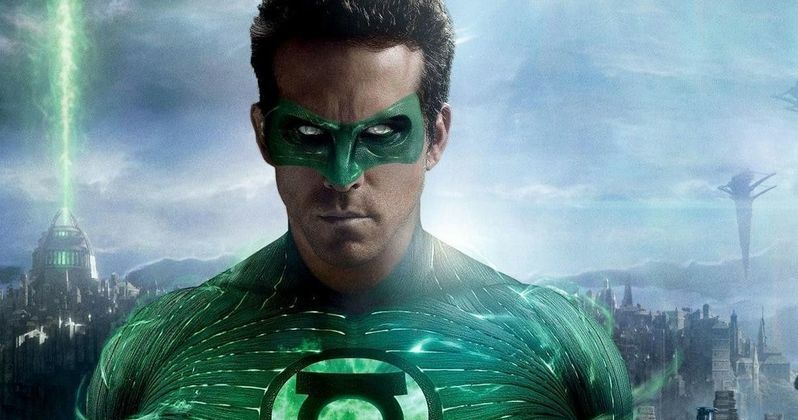 Not to say that Ryan Reynolds wasn't passionate about Green Lantern originally, but he hasn't been shy about his criticism of the final result. He even openly mocked the movie in Deadpool. He may have been "unhirable" for a while, but now that Deadpool 2 is already in the pre-production phase, even though director Tim Miller left the project over "creative differences," Ryan Reynolds' career is back on track in a big way. We can only hope that the next guy to play Green Lantern has better luck afterward.